General Chemistry (first and second semester), Quantitative Analysis, Instrumental Methods of Analysis, Chemistry Seminar and Special Topics in Chemistry (Mass Spectrometry, Electroanalytical Chemistry, Atomic Spectroscopy, and Chromatographic Methods which is scheduled for January 2014). Development of battery technologies. This has included design and development of the battery cells for the Hubble Space telescope, membership on a NASA* "tiger team" to investigate performance issues with battery cells for the International Space Station, paid consultation for Space Systems Loral on the feasibility of lithium ion technology for satellite applications, and contributions to the NASA Handbook for Nickel-Hydrogen Batteries and the NASA Handbook for Nickel-Cadmium Battery Analysis. Pedagogy of ionic equilibrium. This has resulted in the publication, "Advanced Titration Plots Using Spreadsheet Scripting" James O. Currie, Jr. and Richard V. Whiteley, Jr., J. Chem. Educ. 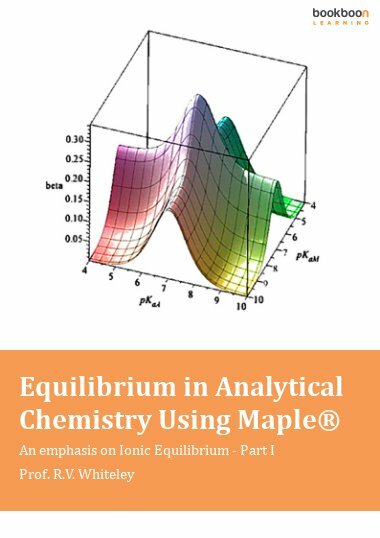 1991 68 923, and an invited presentation, "Acid / Base Equilibrium in General Chemistry Using Maple®" Maple Summer Workshop, Waterloo, Ontario, Canada, July 2004. Chair Elect for the University Faculty Senate, 2013-2014. Member of the University Faculty Senate, 2007-2010 and 2012 to present. Faculty Development and Personnel Committee 2003-2006 (Chair 2005-2006). Natural Sciences Division Chair 1995-1998. Chemistry Department Chair 1992-1994 and 2006-2007. Academic Standards and Advising Committee 1988-1991.